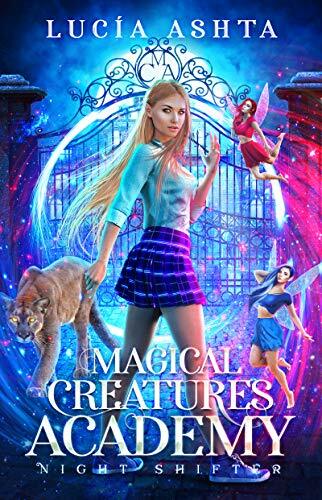 What can you tell us about your new release, Magical Creatures Academy 1? Night Shifter is the first in my new Magical Creatures Academy, but it joins an already rich world and history. Most of my series intertwine, and Night Shifter visits some familiar, favorite characters, while also introducing an entire new setting with its own mischievous and dangerous creatures. Reading! I’ve been a voracious reader since … forever. There are few things I enjoy more than losing myself to an imaginary world. Being able to create these worlds for others is a great privilege. I read a great variety of genres. I simply have too many favorites to narrow them down to five. Hmm, this is a tricky question. I think I’d start by inviting Antoine de Saint-Exupéry and asking him where he drew his inspiration for The Little Prince. Bringing to life entire worlds and people that I can then share with others. I wake up, spend time with my children, send them off to school, then write a chapter. To refuel, I go for a hike around the nearby mountain. Re-energized after quiet time in nature, I write some more. After that, I spend time moving forward other book projects, and then it’s family time. What scene in Magical Creatures Academy 1 was your favorite to write? Any scene with the pygmy trolls. I loved describing their antics. “Whether you think you can or whether you think you can’t, you’re right.” -Henry Ford.